Conrad Gesner, Historia plantarum (1561). Universitätsbibliothek Erlangen-Nürnberg, Germany. Despite their late bloom in English cuisine, white colonists rather commonly ate tomatoes in Jamaica and probably throughout the Caribbean. 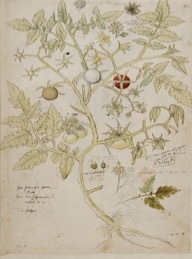 In the early eighteenth century, English naturalist Henry Barham confessed that he had eaten five or six raw tomatoes at a time in Jamaica, “full of pulpy juice, and of small seeds, which you swallow with the pulp, and have something of a gravy taste.”[iv] The first known reference of the tomato in the mainland British North American colonies was by English herbalist William Salmon on his 1710 expedition of Carolina. [v] Linguistic evidence suggests the tomato was likely introduced to the American South from the Caribbean. Late seventeenth-century English, French, and German manuscripts all refer to the fruit as the love apple. and in fact the word tomato did not receive linguistic prominence in England until the mid-nineteenth century. 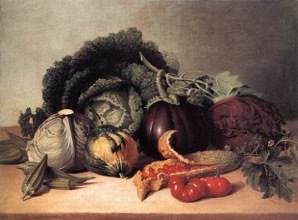 In contrast, almost all eighteenth-century Southern references used some variation of the Spanish- and Portuguese-origin-word for tomato. [vi] Part of indigenous gardens throughout the Caribbean, tomatoes were slowly adopted into the mélange of colonial cooking. Contrary to prominent Southern food historian Sam Hillard’s claims in his Hog Meat and Hoe Cake that the “tomato was little used as a vegetable in antebellum times,” tomato usage is well-documented in the early nineteenth-century American South. [vii] Among recipe manuscripts of antebellum Charlestonians, tomato cookery paralleled that of English cookery–tomatoes were stewed with other ingredients such as fish, shrimp, beef, or egg dishes. Tomatoes also stood alone–served fried, stewed, baked, or chopped. The most frequently reoccurring recipes for tomatoes, however, called for them to be preserved. For example, the receipt book of Mary Motte Alston Pringle includes three recipes for preserving tomatoes–two for pickling and one for canning–as well as a recipe for tomato catsup. In her recipe “to Preserve Tomatoes,” Pringle advocates scalding ripe tomatoes in hot water to easily remove the skins, boiling them in sugar or salt, then drying inch-thick cakes in the sun before packing the slices away in bags to hang in a dry place. 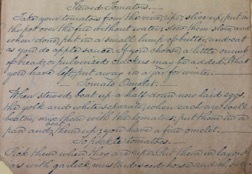 This preparation suggests a later use for application in a dish calling for stewed tomatoes such as “Knuckled Veal” or “Baked Shrimp and Tomatoes.”[viii] Such recipes suggest the considerable effort required to transcend seasonality because of the centrality of tomatoes to dishes consumed in the antebellum South; women like Mary Motte Alston Pringle found the tomato a valuable component to their cuisine patterns and therefore practiced several methods to ensure its availability out of season. If this article has got you hankering for tomatoes in your next meal, an antebellum Southerner would advise you get a move on! In her recipe book, The Carolina Housewife 1847), Sarah Rutledge notes “the art of cooking tomatoes lies mostly in cooking them enough. In whatever way prepared, they should be put on some hours before dinner.”[ix] To this twenty-first century academic, that means simmering on low in the crockpot! For my favorite out-of-season tomato soup recipe, check out this slow cooker tomato basil soup. [i] Though botanically a fruit, the tomato is legally classified, for tax purposes, as a vegetable. See the court decision of Nix V. Hedden (Supreme Court, 1893). [ii] Hannah Glasse, The Art of Cookery Made Plain and Easy (London, UK: Printed for the Author, 1758), 312. [iii] Encylopedia Britannica (Edinburgh: A. Bell & C. Macfarquhar, 1797), vol. 17, 597-598. [iv] Henry Barham, Hortus Americanus: containing an account of the trees, shrubs, and other vegetable productions of South-America and the West India Islands, and particularly of the island of Jamaica (written 1711) (Kingston, Jamaica: Alexander Aikman, 1794), 20. 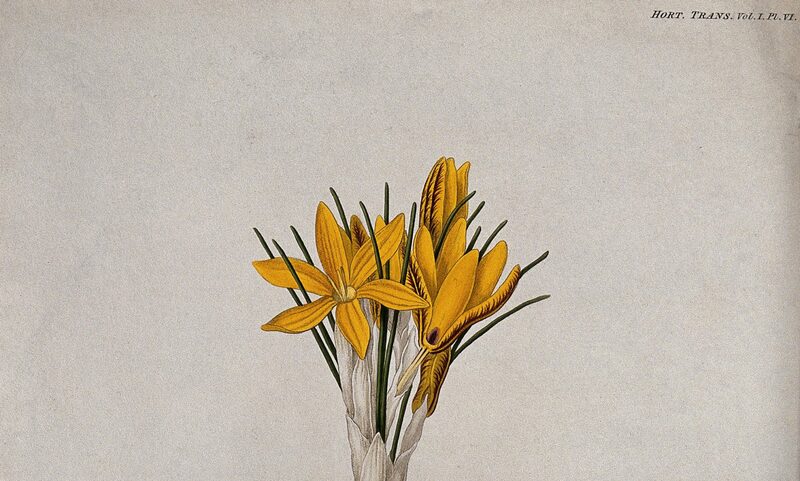 [v] William Salmon, Botanologia, the English herbal, or, History of plants (London, UK: I. Dawkes, 1710), 1356. [vi] Andrew Smith, The Tomato in America: Early History, Culture, and Cookery (Columbia, SC: University of South Carolina, 1994), 200. [vii] Sam Hilliard, Hog Meat and Hoecake: Food Supply in the Old South, 1840-1860 (Athens, GA: University of Georgia, 1972), 173. [viii] Alston-Pringle-Frost papers, 1693-1990 (bulk 1780-1958). (1285.00) South Carolina Historical Society. [ix] Sarah Rutledge, The Carolina Housewife or, House and Home: By a Lady of Charleston (Charleston, SC: W.R. Babcock & Co., 1847), 102. Kelly K. Sharp is a PhD candidate and instructor at the University of California, Davis. A native of Encinitas, California, Kelly earned her BA in History at Willamette University and volunteered as an AmeriCorps VISTA worker with Community Housing Works in 2012-2013. Her dissertation, entitled “Farmers’ Plots to Backlot Stewpots: The Culinary Creolism of Urban Antebellum Charleston,” is a culinary history of race-making in the urban center of the South. Kelly has experience teaching survey courses in United States history, women and gender history, and material studies at University of California, Davis. She has been active in public history, including editorial and curatorial work for the Blackville Historical Center and at the University of California, Davis, and mentorship initiatives within the Coordinating Council of Women Historians. Outside of her academic work, she enjoys hiking, traveling, reading, and eating.